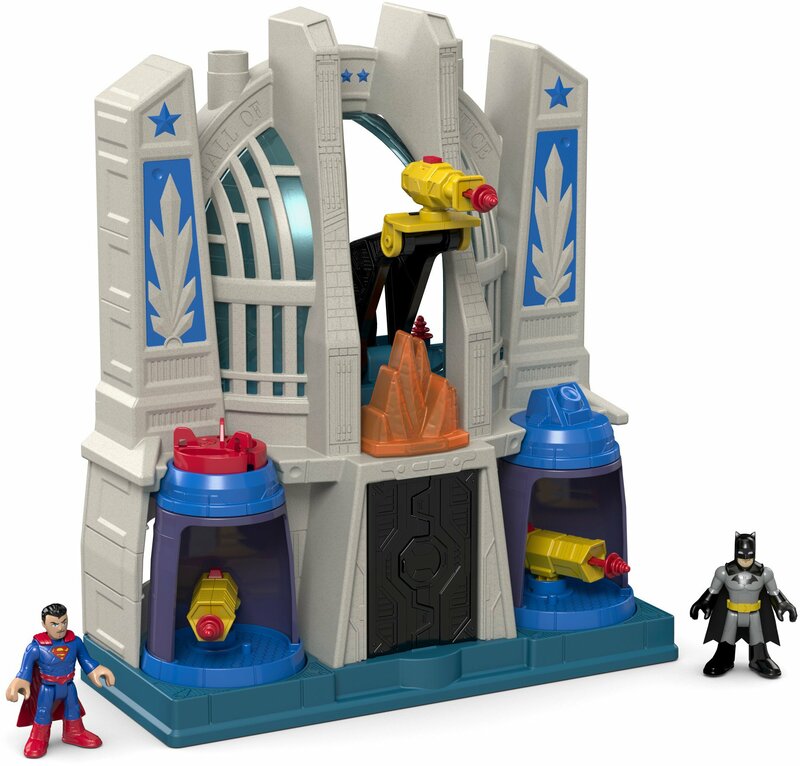 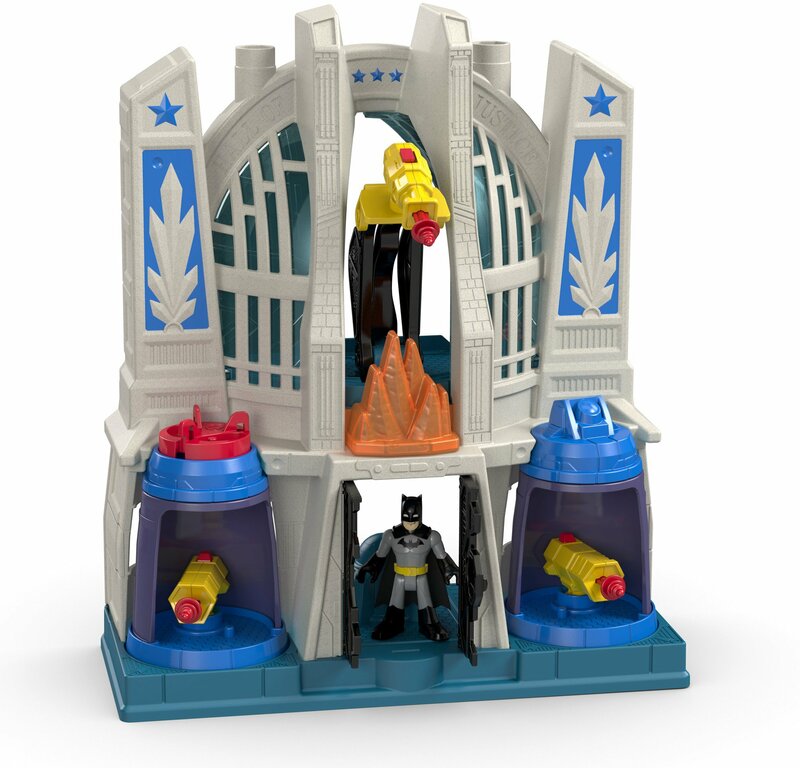 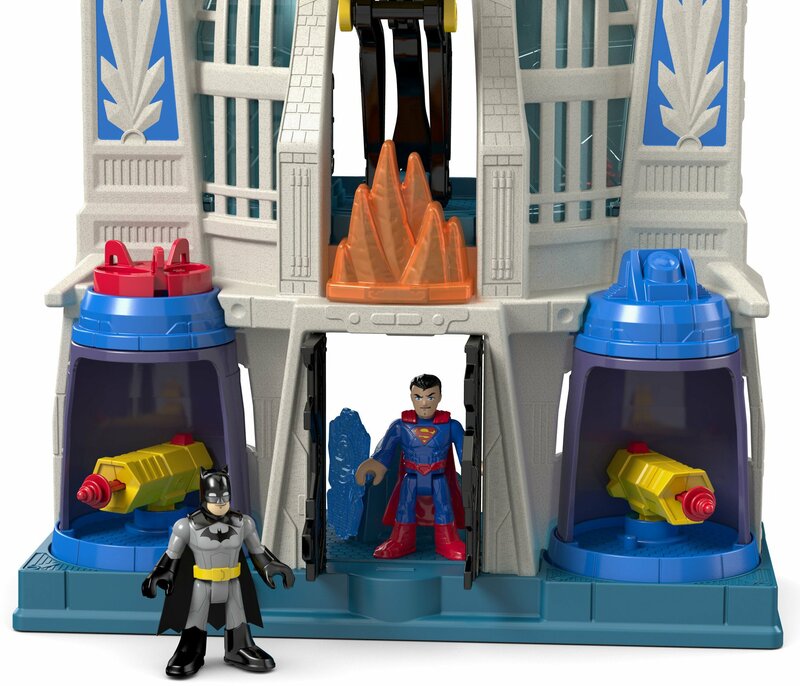 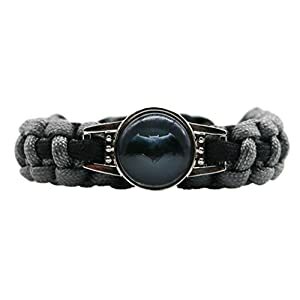 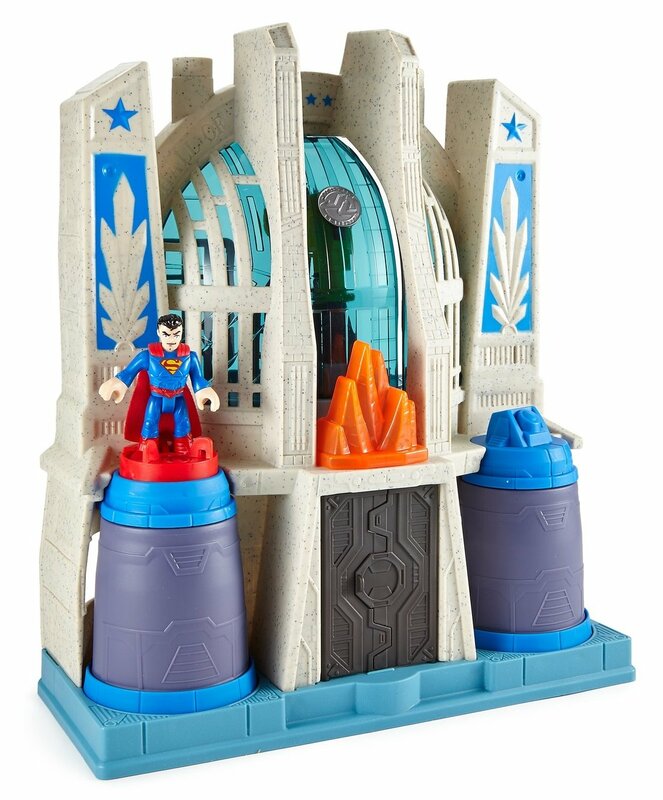 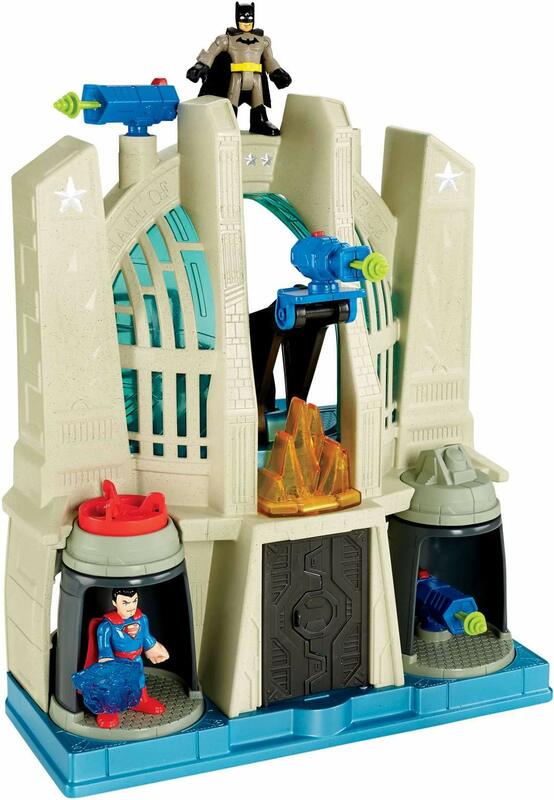 No evil villain better attempt to attack the Hall of Justice, the headquarters for the Justice League! 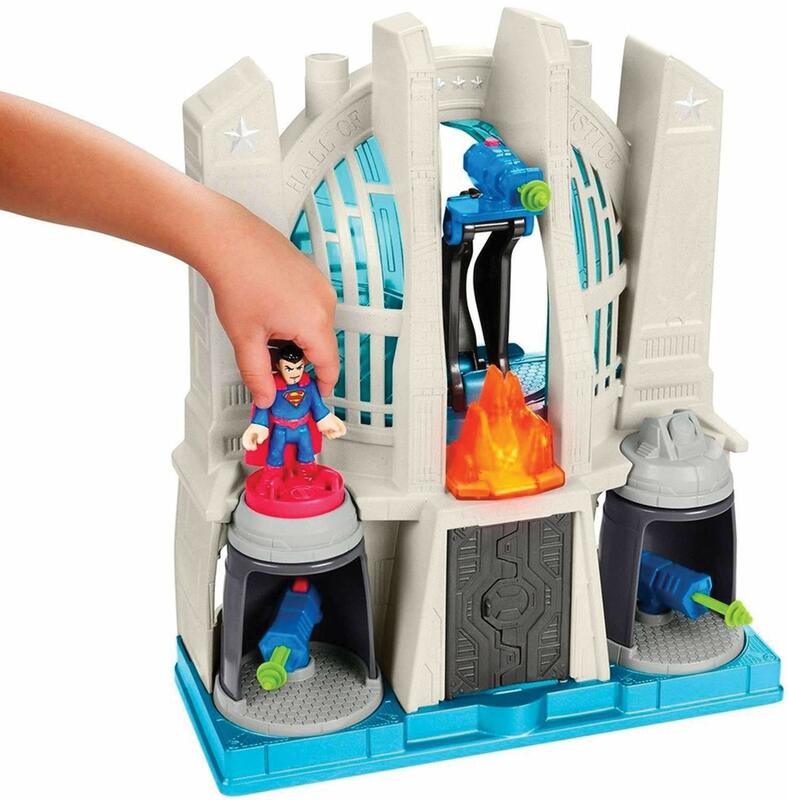 A turn of the Power Pad will reveal 3 hidden projectile launchers: 1 within the window and 1 in every side turret! 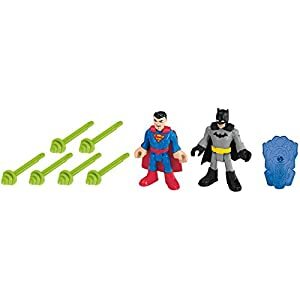 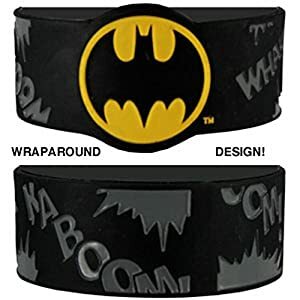 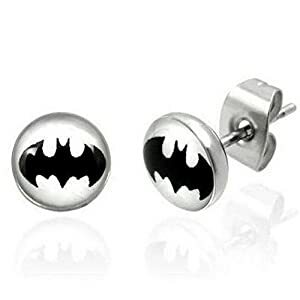 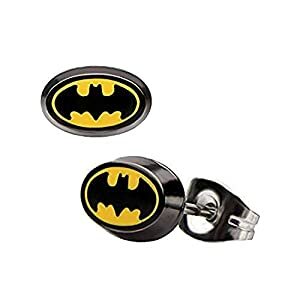 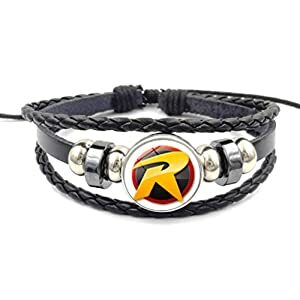 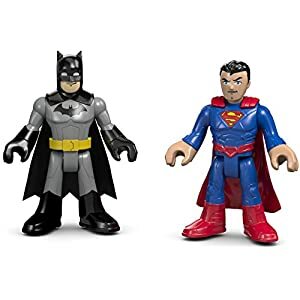 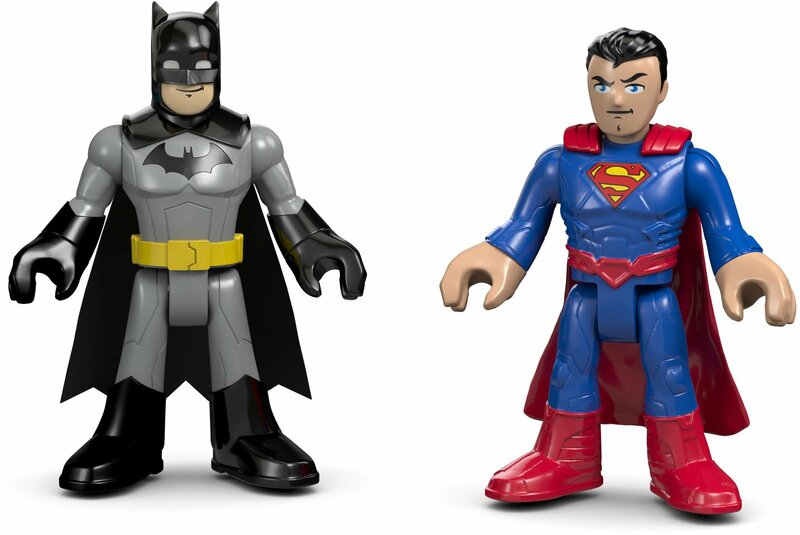 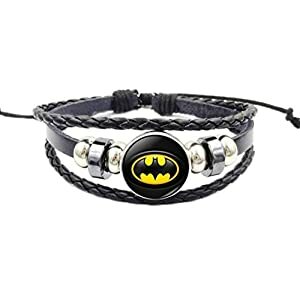 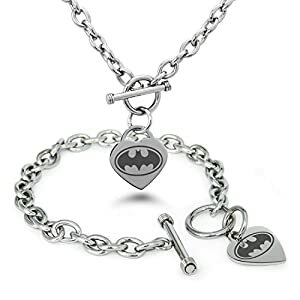 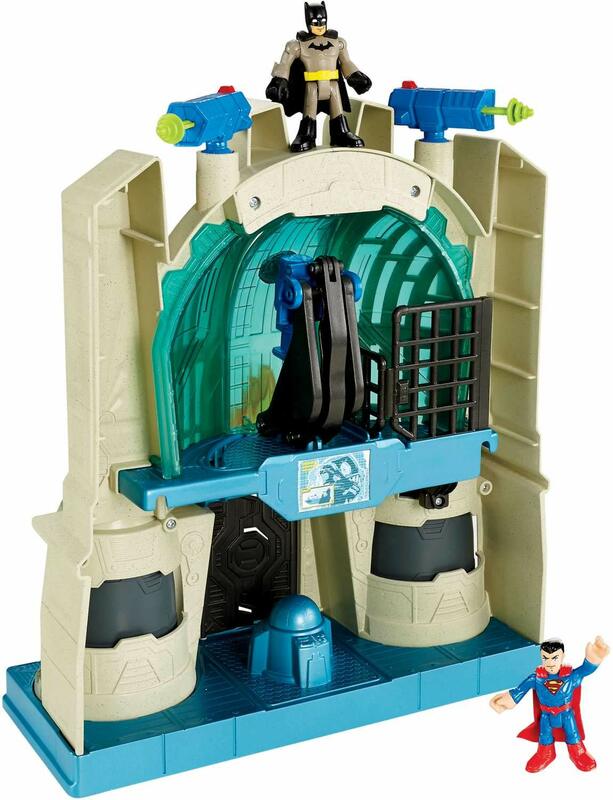 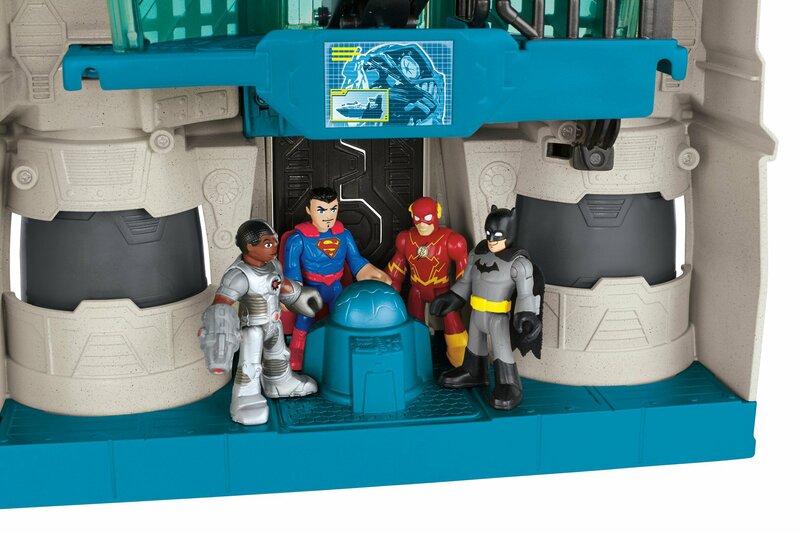 Superman, Batman and young Super Heroes are able to do battle with the Legion of Doom at a moment’s notice! 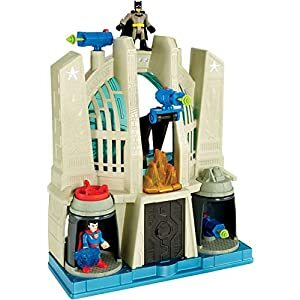 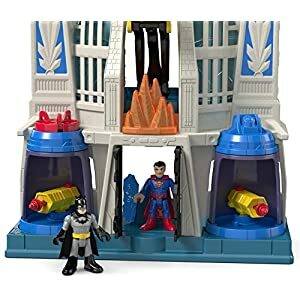 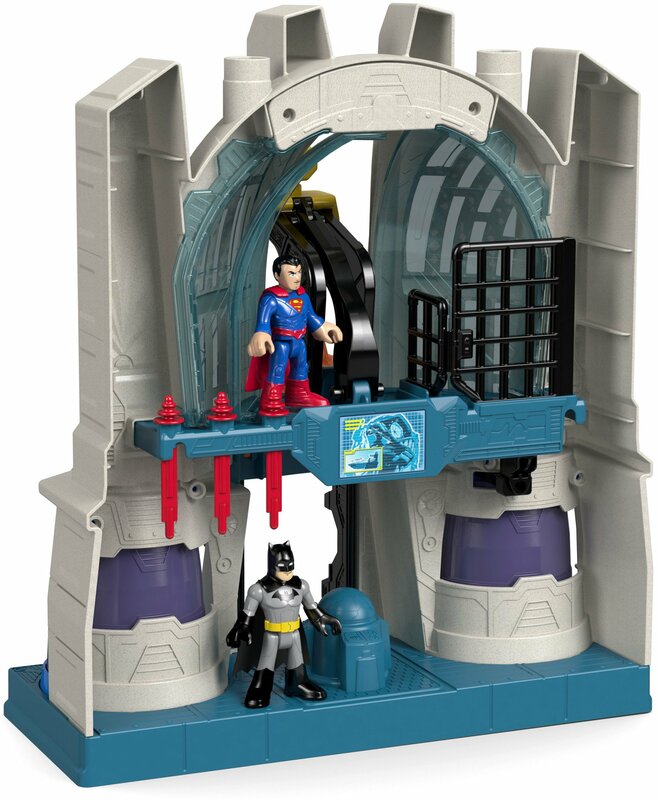 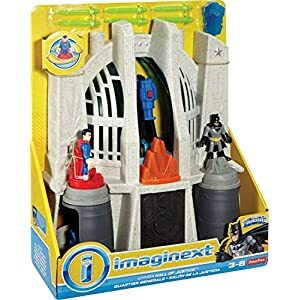 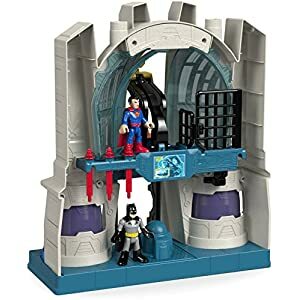 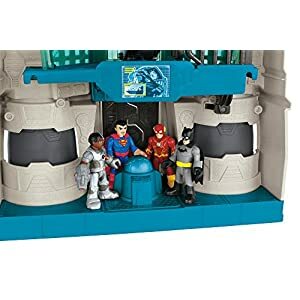 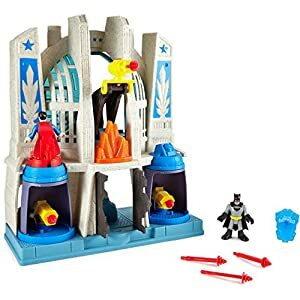 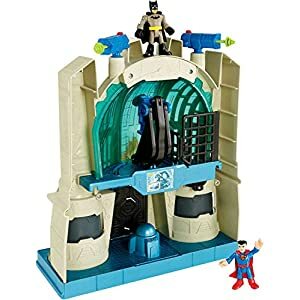 The journey continues on back with a jail to imprison pesky bad guys, a team-gathering area for Justice League meetings, and computer consoles to keep an eye out for attacking villains. 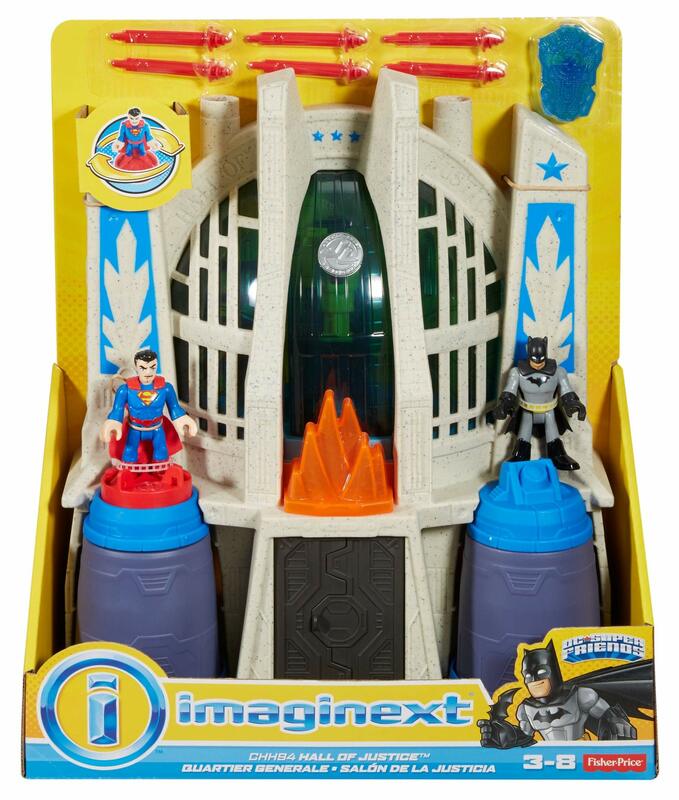 Little ones’ imaginations shall be armed and able with new stories and adventures on a daily basis! 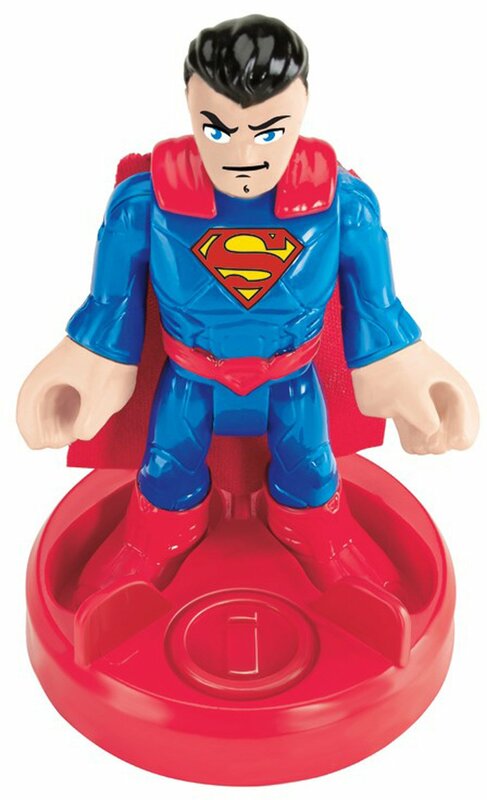 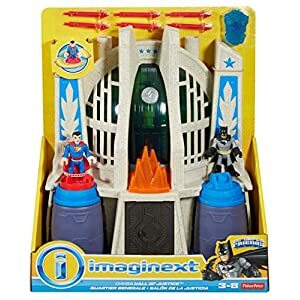 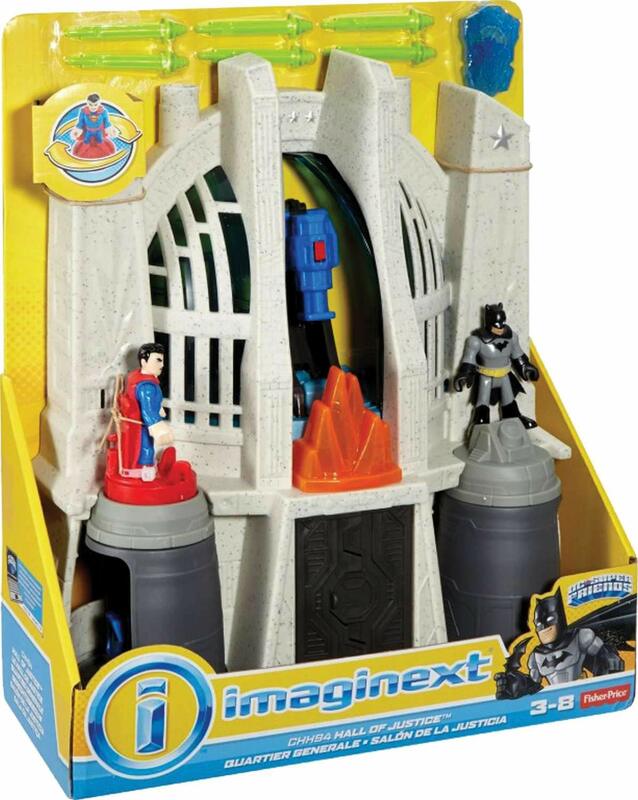 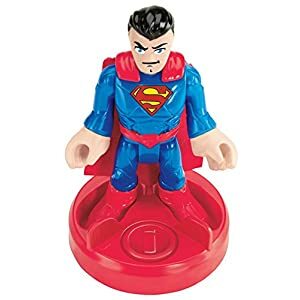 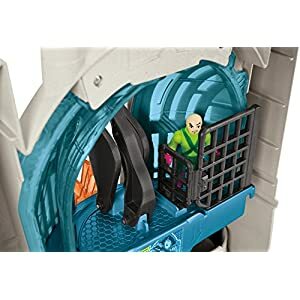 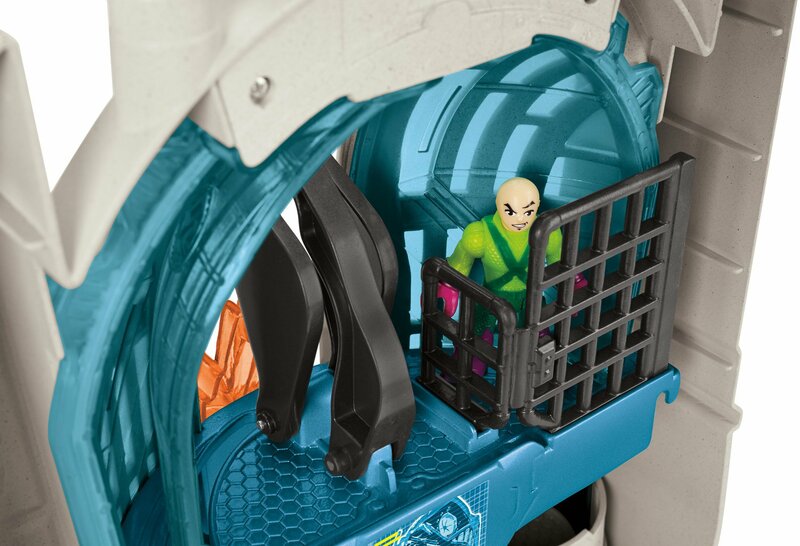 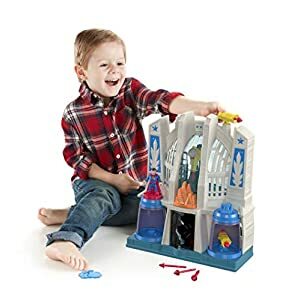 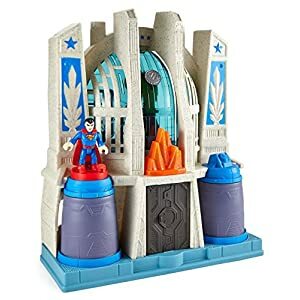 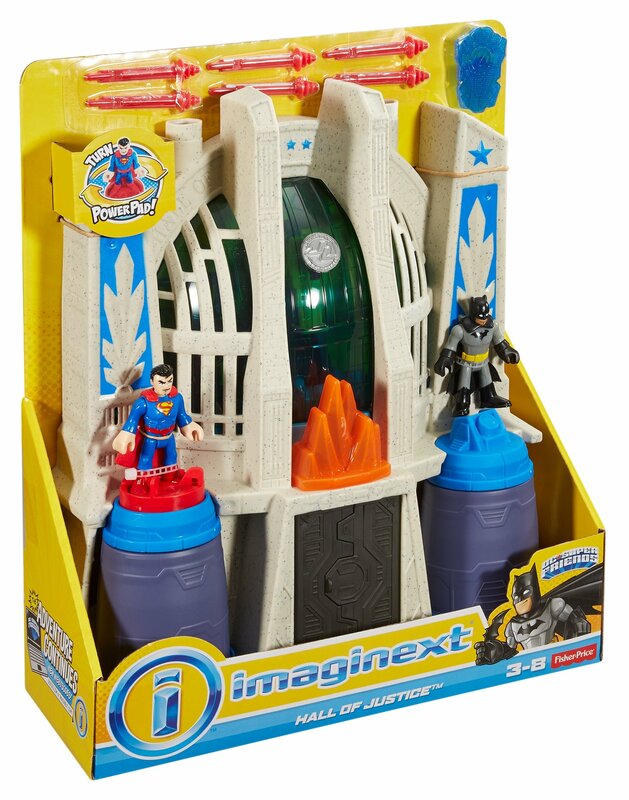 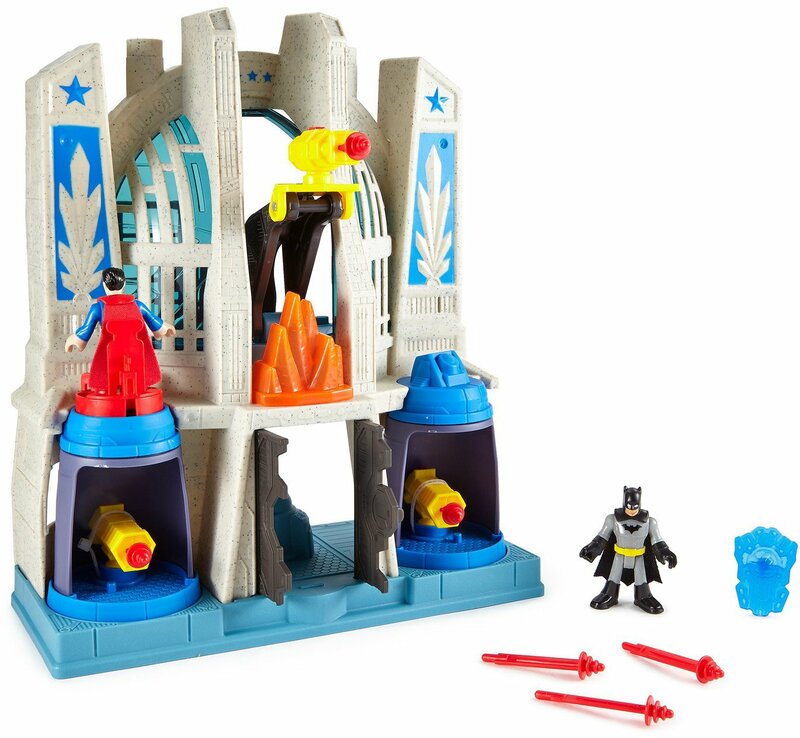 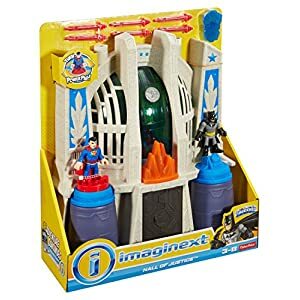 Fisher-Price Imaginext…Activate Adventure! 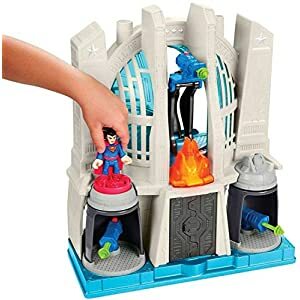 Turn the Power Pad to show a projectile launcher within the window and every turret!